There’s no denying that managing a team of employees is challenging. You have to make sure everyone is on the same page and being productive, and has everything they need to get their work done. This is hard enough as it is when the members of your team work under the same roof. Remote workers bring a whole new set of challenges to the table. To ensure maximum productivity from your remote team members, the first thing you need to do is make sure their needs are met. This means anticipating some of the problems your remote workers may encounter on a day-to-day basis, and providing them with tools to help alleviate these issues. Check out some of the gadgets and tools on this list and see if they might help ramp up your remote workers’ productivity. Your remote workers’ home offices are likely rather small (at least when compared to a full office building’s layout). Since they need to pack an entire office’s worth of equipment into one area of their home, their workspace is also probably pretty cluttered with wires connecting printers, monitors, keyboards, speakers, landlines and more. The least you can do is offer them some respite from a tangled web of electronic viscera. MOS — the Magnetic Organization System — will do just that. 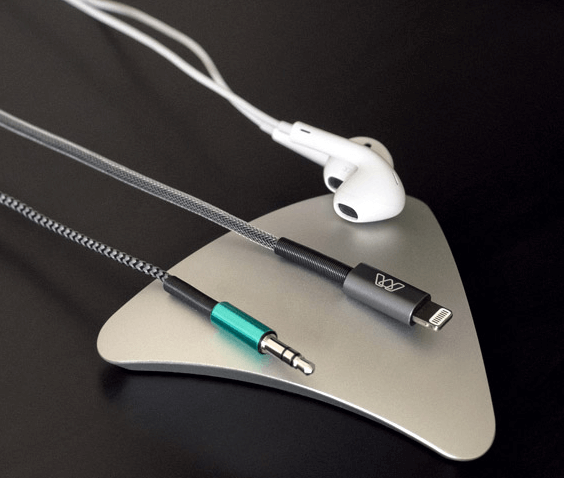 These tiny magnetic devices will help your remote workers keep their desks clear of errant cords and wires, and make it easier for them to figure out where every cord on their desk actually leads. The MOS is portable and has an airstick base, allowing it to be used on any flat surface. Whether your remote workers enjoy staying in one place or venturing out to their local coffee shop, the MOS will help them keep their workspace free of tangled cords and wires. Anyone who’s used a mobile device to type more than a few sentences knows what a pain using an on-screen keyboard is. Though iPads and such devices are great for many on-the-go tasks, typing is not one of them. But your remote employees don’t want to be chained to their desktop computer for eight hours a day. It’s one of the reasons they love working remotely in the first place. 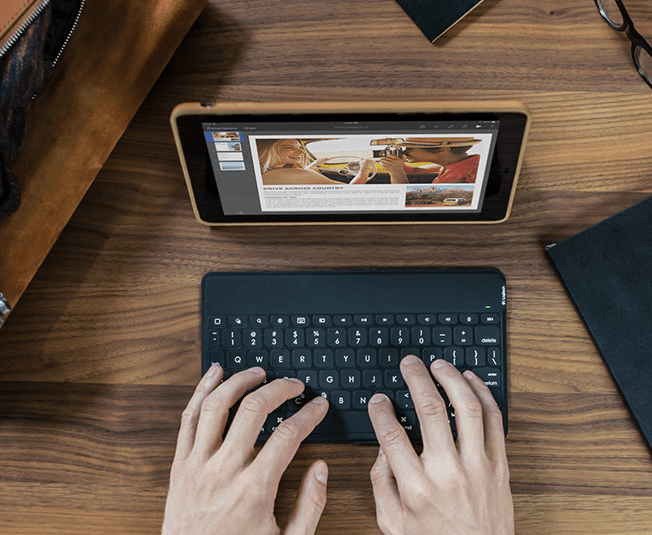 Luckily, Logitech’s Keys-to-Go keyboard takes away the awkwardness of typing through an on-screen display while allowing you to experience the full functionality of your mobile device from wherever you choose. The ergonomic, responsive design of Logitech’s keyboard allows for comfort while typing and also minimizes typos or errant key presses — a problem that plagues on-screen keyboards on mobile devices. Keys-to-Go is lightweight and incredibly thin, making it easy to carry along with your mobile device. It’s also resistant to spills, dust, and dirt, and is easily cleanable. Though not likely to completely replace your remote worker’s home keyboard, Keys-to-Go offers a comfortable and functional alternative to on-screen keyboards, and will allow your employees to get more done when they’re on the run. Aside from the occasional outage, in-house employees don’t have to worry much about the strength of their internet connection. Remote workers, on the other hand, are at the mercy of their router at all times. Though as your manager you shouldn’t feel obligated to pay for an upgraded internet connection for your remote workers, you still want to do whatever you can to ensure they can get online when they absolutely need to get work done. Keewifi’s Kisslink router can help. 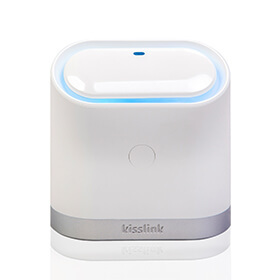 Kisslink ensures “enterprise-level” connectivity throughout a user’s home, and allows for maximum connectivity regardless of how many devices are currently using the wi-fi signal. The Kisslink router also includes a “Zen Button,” which automatically diagnosis and fixes any connectivity issues that may arise. Providing your remote workers with the kisslink router ensures a shoddy internet connection will never get in the way of them completing web-related tasks such as attending video conferences or sending important documents via email. And they’ll certainly be more productive since they won’t constantly have to reset their router every few hours. Obviously, checking in with your remote workers isn’t as simple as sidling up to their cubicle to see what they’re working on. And any time you do check in with them via email or phone, you run the risk of distracting them from actually getting work done. A big part of overseeing remote employees is trusting they’ll be able to do what they need to do without having someone looking over their shoulder at all times. Though there are a number of mobile apps that can help your remote workers keep track of their responsibilities, providing them with a non-electronic means of doing so can help them take ownership of their schedule. This is where Evernote’s Moleskine Notebooks can come in handy. These notebooks will allow your remote workers to create a personalized system that works for them and that they’ll be sure to stick to. Once they’ve filled out pages in their notebook, your remote workers can then take pictures of the pages with their mobile devices and upload the files to their Evernote account. They then can use the Evernote app to search their handwritten notes for specific text, or schedule reminders and alarms for future events. With both physical and electronic representations of their responsibilities on hand, your remote workers will always know exactly what they need to be doing when they’re on the clock. The phrase “have it on my desk by 5:00” no longer applies literally to the modern office. For the most part, files are sent through the internet or uploaded to the cloud at the press of a button. With remote employees spread across the globe, managers need to be sure their workers have the technology they need to do so. 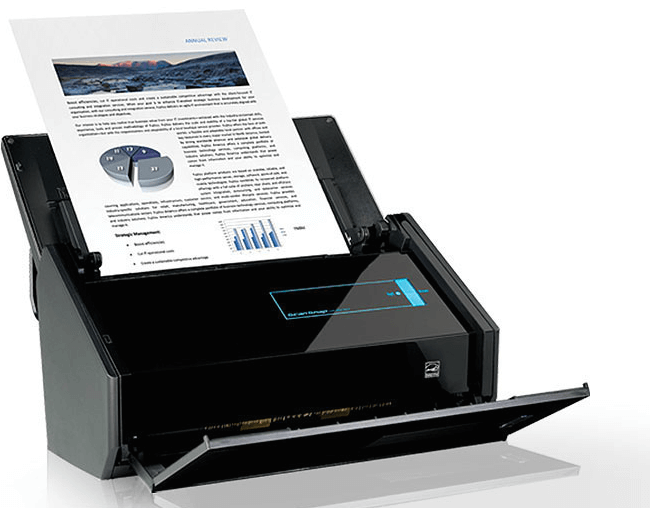 The ScanSnap makes scanning and sending documents about as easy as it gets. In addition to scanning and saving documents to a device, the ScanSnap can also upload scanned files directly to cloud-based systems, such as Google Drive or Dropbox, or send them directly to a specified email address. It also comes with a number of programs for file management purposes. Since the scanner operates through wi-fi, it can be synced with any PCs, laptops, or mobile devices connected to the router. Working from home is incredibly convenient. But it can also lead to stagnation. Since remote workers don’t have to go anywhere to do their job, it can be difficult for them to find a reason to get up and get moving. Unfortunately, a physically unfit employee is also often an unproductive one, as well. This is why your remote workers need the DeskCycle. 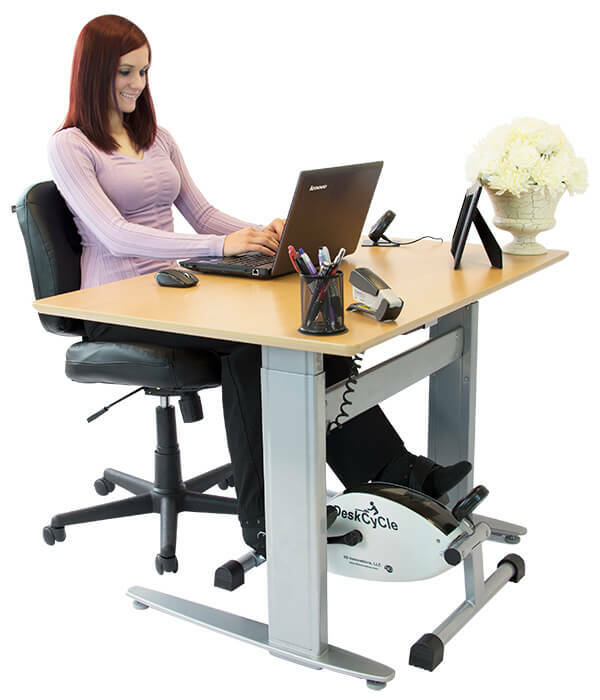 The DeskCycle is a stationary bike that fits under a desk, allowing your remote workers to stay physically active while sitting at their desk in their home office. In turn, they’ll be happier and healthier — and more productive, too. Your remote workers can change the resistance from the pedals, so they can get a more intense workout on their lunch break or after they clock out for the night. The DeskCycle also includes a display mechanism, which details the amount of time they’ve spent pedaling, the distance they’ve “traveled,” and the amount of calories they’ve burned. Your remote employees have the freedom to work from anywhere in the world. Too often, though, they end up staying cooped up in their home office day in, day out. Eventually, this can lead to monotony, boredom, and complacency. And a lack of productivity. As a manager, you don’t want your remote employees to experience any of these feelings. 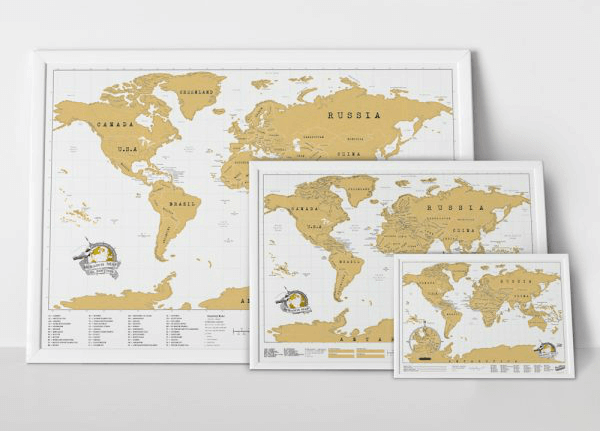 The Scratch Map XL offers a reminder to remote workers that they don’t have to stay in one place to get their work done — they can travel and work at the same time. They can take their work literally anywhere they want (as long as they have wi-fi, of course!). Exploring new areas of the globe will keep them invigorated and excited, allowing them to approach their work-related duties with a fresh perspective. And, when they return home, they’ll have a visual reminder of how good they have it with your company — which will keep them motivated and working to their highest potential. For managers, the ability to work with professionals from anywhere in the world is a blessing. But it can also be hard sometimes to feel connected, remember to thank your team, and demonstrate how much you care. 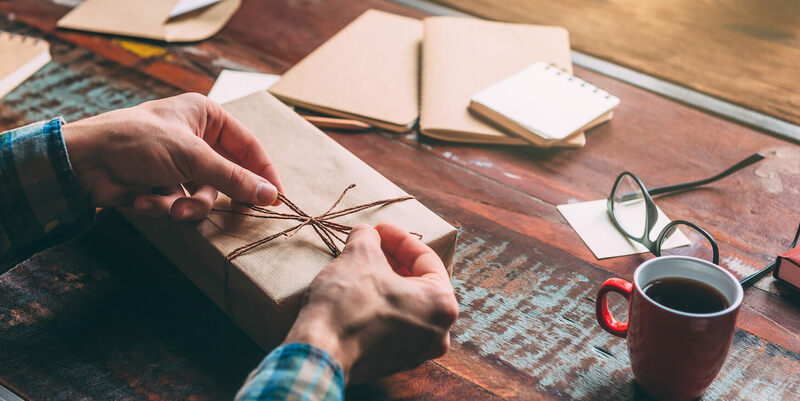 Send your remote employees a productivity-boosting gift every once in a while to remind them how much you mean to the company. Not only will it raise their spirits, but it’ll also motivate them to keep putting their best effort into all they do for you.